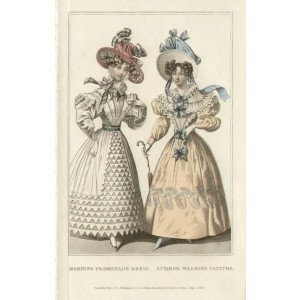 La Belle Assemblee was a British women's magazine published from 1806 to 1837, founded by John Bell (1745-1831). 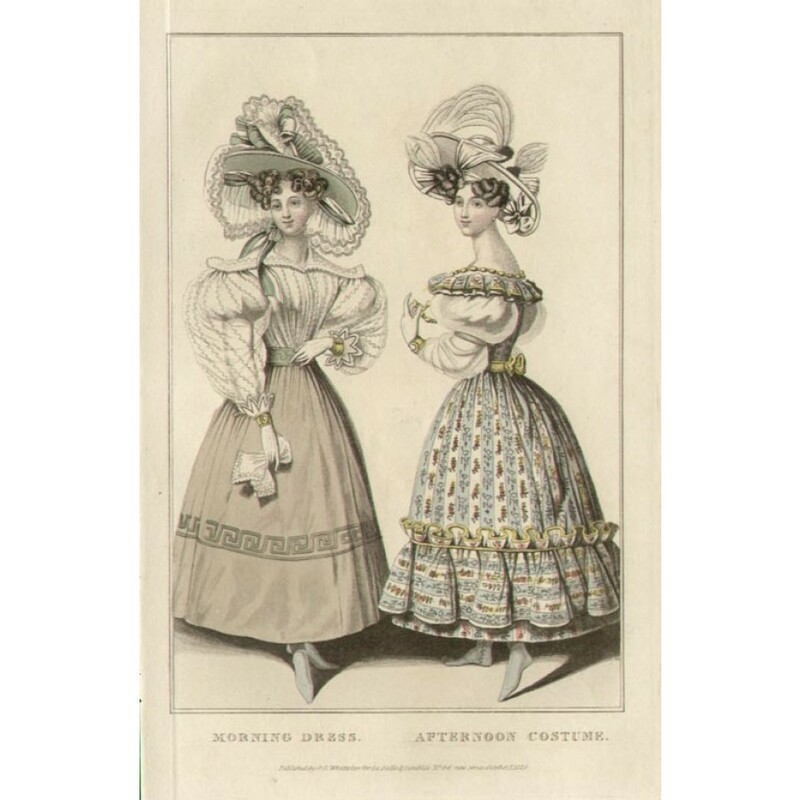 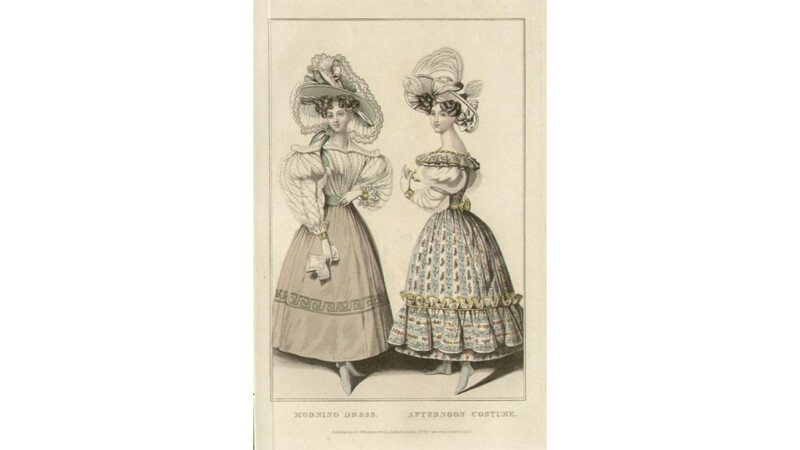 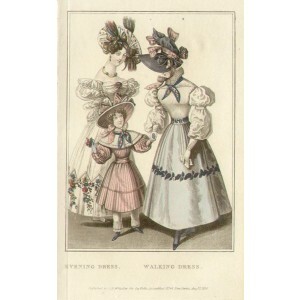 It is best known for its fashion plates of Regency era styles. 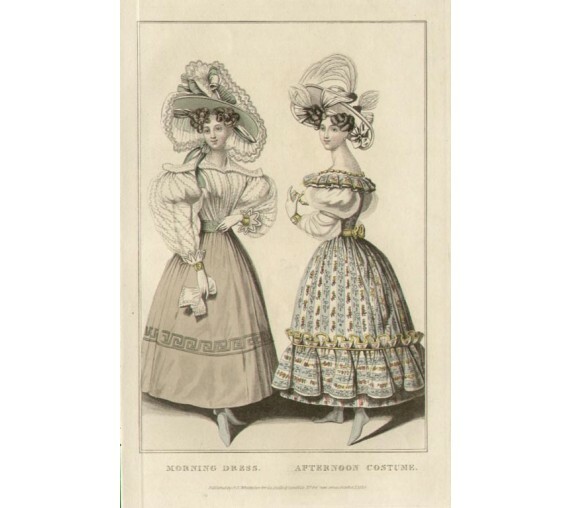 Slight vertical crease on left hand side.